Jes Ronski Speed, Beat Service feat Neev Kennedy, PAUL VAN DYK, D Mad, Mem and more. 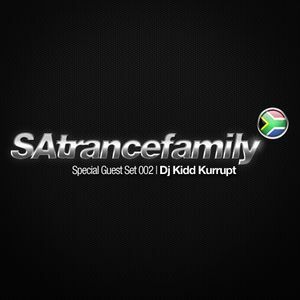 This is the 2nd edition in the &apos;SAtrancefamily Special Guest Set&apos; series. For this set we bring you an International flavour in the form of &apos;DJ Kidd Kurrupt&apos; - Quincy Simms Ortiz is from Maryland, United States and was very eager to support the SAtrancefamily when hearing of the #SpecialGuestSet initiative and after hearing his work we just had to have a set. He recently produced guest sets for the &apos;Egypt Trance Family&apos; and &apos;Trance Africa&apos; and also keeps himself busy with his own productions. Very, very nice :-) Big ups to the jock; really enjoyed the selection and more importantly, the flow. Great work!